Ranking as Tennessee’s fourth largest city, Chattanooga offers a variety of exciting things to do year round. 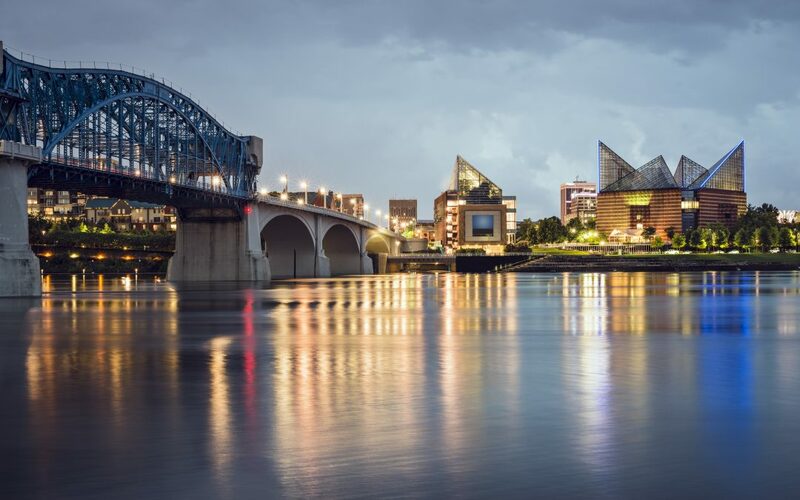 Located in the southeast corner of the state, Chattanooga draws crowds from Georgia, Alabama, North and South Carolina, and Kentucky. The mountains and ridges of the Appalachian Mountains surround the city, earning it the nickname of “The Scenic City.” Check out these must-see Chattanooga sites as you get to know the city! 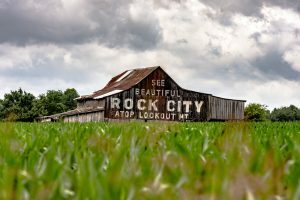 Located in Lookout Mountain, Georgia but just minutes from downtown Chattanooga, Rock City is a spectacle you won’t want to miss. If you’ve ever seen a painted billboard or barn reading “SEE ROCK CITY” on a drive through the midwest, this is the place they mean. The park consists of rock trails leading to numerous rock formations, waterfalls and even through a fairy garden. The attraction has several shops, restaurants and photo opportunities. It’s a great place for families and young adults alike. 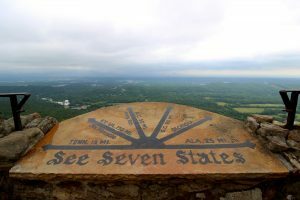 At Lover’s Leap, a high point in the park, it’s said you can see seven states. 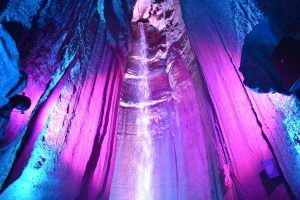 Also located in Lookout Mountain, Ruby Falls is a 145-foot underground waterfall attraction beneath the mountain. Visitors travel by elevator over 1,100 feet under the surface of Lookout Mountain to reach the caverns and the Falls. The tour walks through magnificent formations and natural sculptures while a guide shares the history of the caverns. Afterward, a quick climb to the top of the (above-ground) Ruby Castle offers amazing views of the city. The Tennessee Aquarium is located in Downtown Chattanooga in a stunning building along the river. The aquarium hosts over 12,000 animals and has welcomed over 20 million visitors since opening. The Aquarium has separate buildings and unique exhibits for its Ocean inhabitants and its Freshwater or River inhabitants. 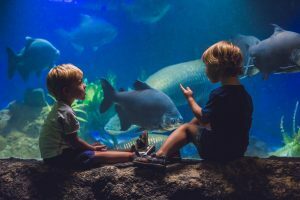 The expansive aquariums is a great way for kids of all ages to spend an afternoon. The Chattanooga Choo Choo Hotel is housed in the former Terminal Station of Chattanooga. Chattanooga has a long history of train transportation and the hotel is a testament to and celebration of that history. Listed on the National Register of Historic Places, the former terminal was once the first railway connection between the North and the South. Named after the famous Glen Miller song, the hotel offers guests fine dining, shopping and a unique hotel experience. Guests can even stay overnight in a restored train car.